“Cooper said once the storm passes and towns start to rebuild, there will be an emphasis on housing that is affordable. Click here to watch a brief video of the Governor’s remarks. Of course, North Carolina’s lack of affordable housing stock was an issue well before Hurricanes Florence and Matthew. Appropriations to the state’s main affordable housing programs has remained essentially flat and comparatively paltry for years. The award-winning North Carolina Housing Trust Fund received just $7.66 million in the FY 2019 budget, while the “Workforce Housing Loan Program” received just $20 million and the “HOME match” received only $3 million. 43% of North Carolina renter households can’t afford a modest, two bedroom apartment. Data from the National Low Income Housing Coalition’s “Out of Reach 2018” report shed even more light on this subject. The report found that North Carolina ranks 34th in the country in terms of the “housing wage” required to rent a modest, two-bedroom apartment. For those earning the minimum wage ($7.25 an hour), it would take working 90 hours per week, 52 weeks per year to afford that same two bedroom rental property. 35 – The percentage of North Carolinians who are renters. 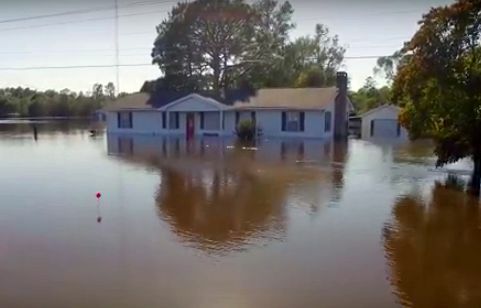 In areas where some of the most dramatic flooding from Florence occurred, the rental picture doesn’t get any better (and is sure to get worse now that thousands of units have been lost or damaged. How much would it cost you to find a decent rental property in your county? Visit the Out of Reach 2018 state report.